During the Quest, try to visit as many of the seven land-based and three water-based eco-regions as possible. 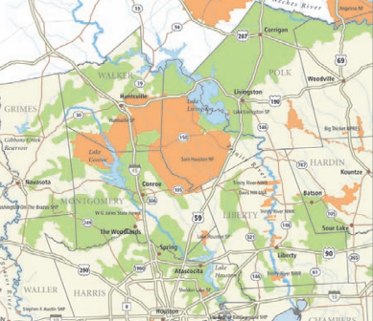 If you can't make it in person, learn about them online or read about them in our Atlas of Biodiversity. Where land becomes sea, and freshwater meets salt, is one of the most productive biological systems. 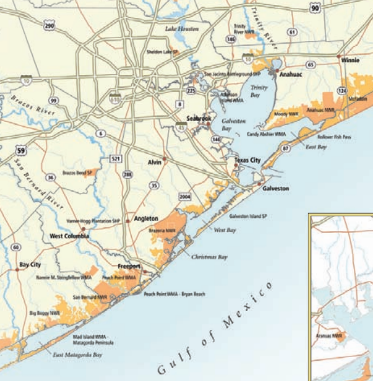 On the southeast Texas coast, it includes on of the most important recreational destiations - the Gulf of Mexico. As one moves toward the coast, marshes, bayous and rivers give way to flats and open water. The mixing of these waters, salt and fresh, is what sustains many varieties of finfish, oyster reefs, and other shellfish, including shrimp and blue crabsKnown as the "nurseries of the sea," estuaries are the ocean's protected areas. Here, complex food chains include everything from microscopic organisms to sportfish to shore birds to fur bearing mammals to humans. 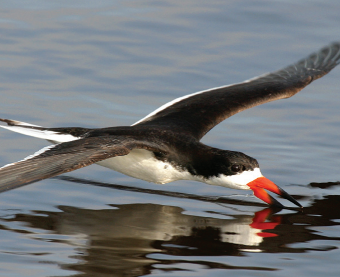 Known as the "nurseries of the sea," estuaries are the ocean's protected areas. Here, complex food chains include everything from microscopic organisms to sportfish to shore birds to fur bearing mammals to humans. 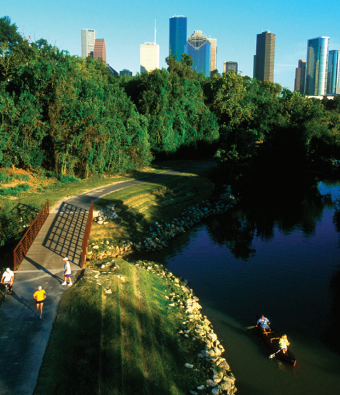 Those taking up urban residence within the Houston Wilderness area are not just human. Between the asphalt and concrete, around the shopping malls and medical centers, the bayous, lakes, prairies and forests are host or home to many wild neighbors. These natural jewels within our communities not only provide opportunities to enjoy the outdoors, they are also habitat to many species. 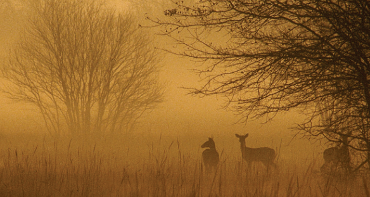 Our wild neighbors eat tons of mosquitoes and other noxious insects. They pollinate flowers and crops and help maintain the health of our parks and communities. The habitat they call home helps mitigate damage from floods and recharge underground water supplies. And, it provides humans a respite from the concrete jungle. 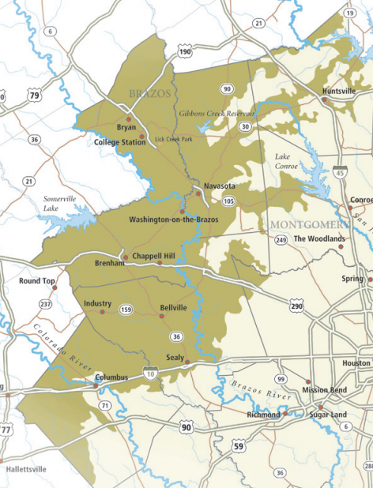 Enjoy the hiking and canoe trails of Houston Wilderness: they are an excellent way to meet some of your wild neighbors! Read more about Houston's Bayous here. 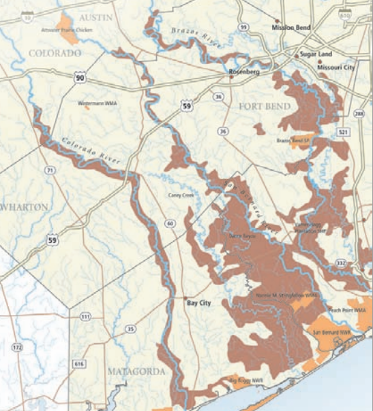 The prairies of Houston Wilderness are a wondrous remnant of an ancient nine million acre system of tallgrass that covered parts of present-day Texas and Louisiana. Although only one percent of this vast ecosystem remains, it is home to more than 1,000 plant species, including slender bluestem, American snowbell, blazing stars, and sweet goldenrod. This blanket of grasses and flowers provides important habitat for many migratory species, including geese, waterfowl and songbirds. It is also the final battleground for the struggling Attwater’s Prairie Chicken whose numbers today is less than 60. 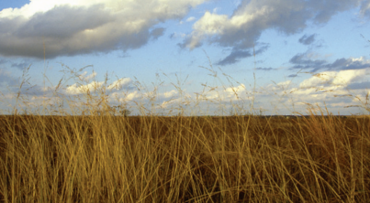 Like the tallgrass prairies of the Midwest, these coastal prairie systems are best maintained by the wildfires and drought that have historically prevented woody plants from taking hold. They and their many thousands of acres of wetlands absorb and filter rainwater, recharging vital structures that provide fresh water to many thousands of area residents. 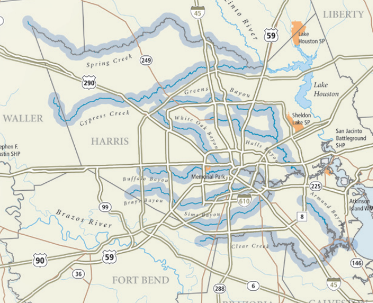 Originating north of Dallas, the Trinity River flows along the Texas landscape reaching Galveston Bay 550 river miles later. Home to river otters, songbirds and alligators, the low-lying Trinity Bottomlands support a wealth of plant and animal life. Here among the tupelo and cypress trees, half of all of the bird species identified in the United States can be found throughout the year. Read more about the Trinity Bottomlands here. 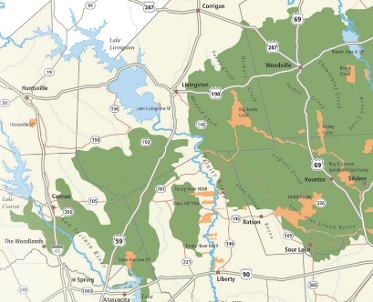 The Eastern Portion of the Houston Wilderness features a great forest commonly known as the Big Thicket. 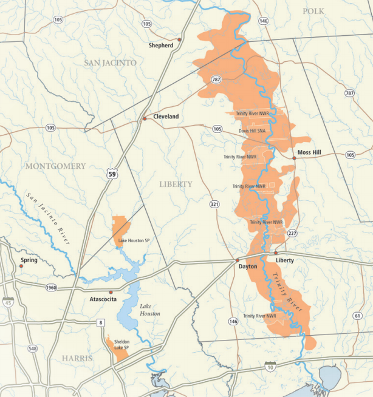 This is a fragile ecosystem where Southeastern swamp meets Eastern hardwood forest, Midwestern prairie and elements of the Southwestern desert landscape. This complex region hosts a tremendous diversity of life that rivals the Florida Everglades, including four species of carnivorous plants and, seasonally, three quarters of the birds that live in North America. 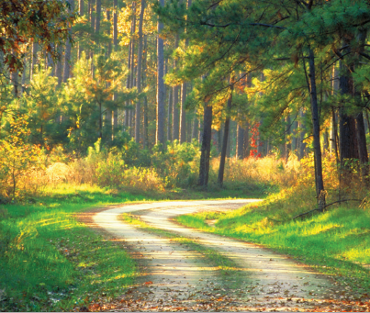 The Piney Woods is a type of coniferous forest that stretches across the Houston Wilderness from East Texas to Montgomery County. 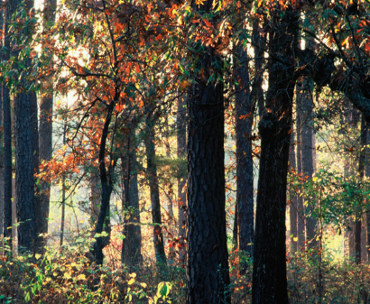 These woods, as the name suggests, are characterized by three types of pine: lolblolly, shortleaf and longleaf pines. These woods, which overlap with the Big Thicket, support an incredibly diverse and fascinating array of life. Every year, about 29 million individual migratory birds pass through the Columbia Bottomlands. 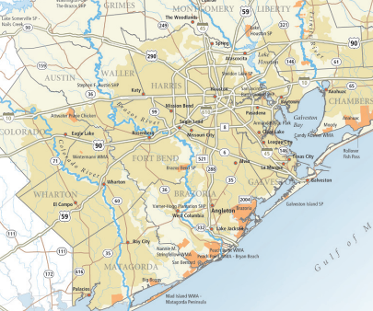 After a grueling northern migration flight of more than 400 miles, the birds' first site of safety and shelter is a thick forest along the southeast Texas coast. Having lost as much as 1/3 of their body weight, the birds stop to feed and rest in this wet and low-lying, insect rich area. The thick canopy hides them from soaring predators, such as hawks and kites. Following an internal compass, these millions of migratory birds return every year counting on the bounty of the bottomlands to refuel and refresh them before they continue their perilous journey north. Coastal marshes act as important sponges, helping slow and absorb storm surges (when wind and rain increase) that might otherwise do greater damage farther inland. Coastal marsh wetlands also act as filters, as the plants and soils found there clean the water of sediment and pollutants. 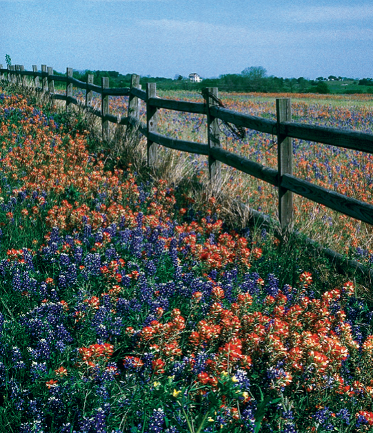 Historically, a blanket of bison covered the savannah landscape of southeast Texas. Large herds consumed vast quantities of grasses and their hoof action disturbed the soil, where they helped disperse seed. Though the grazing was intense, the bison moved, allowing the savannah time to recover. Accompanying the bison was a different more volatile blanket: fire. These fires were typically very large and continued unabashed until stopped by a change in topography or weather. They stimulated growth of the grasses and forbs, suppressed invading woody plants and ultimately contributed to the well being of the grasslands. On the Post Oak Savannah landscape, if fire is absent, so is the post oak. The frequent burning of the grasses means lighter fuels, hence cooler fires. Unlike many of its rivals, the slow growing Post Oak is moderately resistant to fire. Intolerant of shade or competition, the oak persists and ultimately creates small, pure stands surrounded by vast grasslands found on the Post Oak Savannah landscape. Surrounded by the United States, Mexico and Cuba, the Gulf of Mexico is 600,000 square miles of warm, sunlit waters and a steady food supply for an array of fish, wildlife and humans alike. Approximately two-thirds of the continental United States drains into the Gulf, including states as far away as Montana and New York. 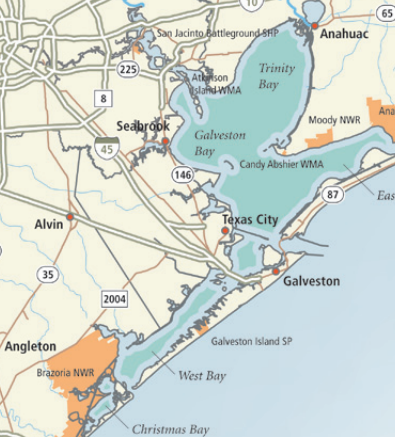 In addition to many creeks and streams, some 33 major rivers find their way to the Gulf. The greatest of these by far is the Mississippi River. The Gulf of Mexico is endowed with a variety of tremendously productive habitats. 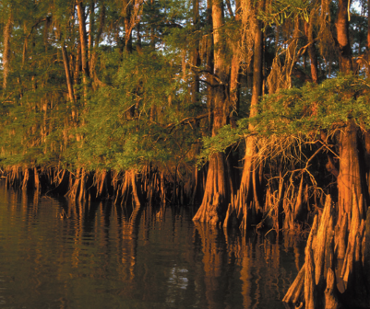 Wetlands of the Gulf comprise nearly 50 percent of the nation’s total coastal wetlands. 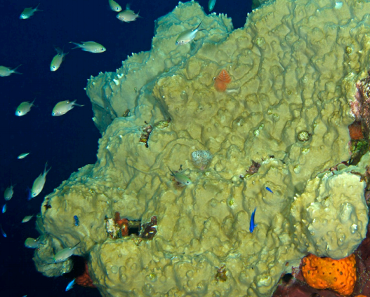 There are important and unique coral reef ecosystems, such as the Flower Garden Banks National Marine Sanctuary. 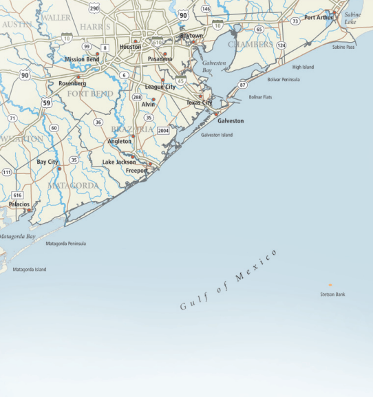 From the deep oceanic systems to the shores of the Bolivar Peninsula, the Gulf of Mexico is a vast and productive system that sustains us as individuals and communities, both above and below its clear blue waters.